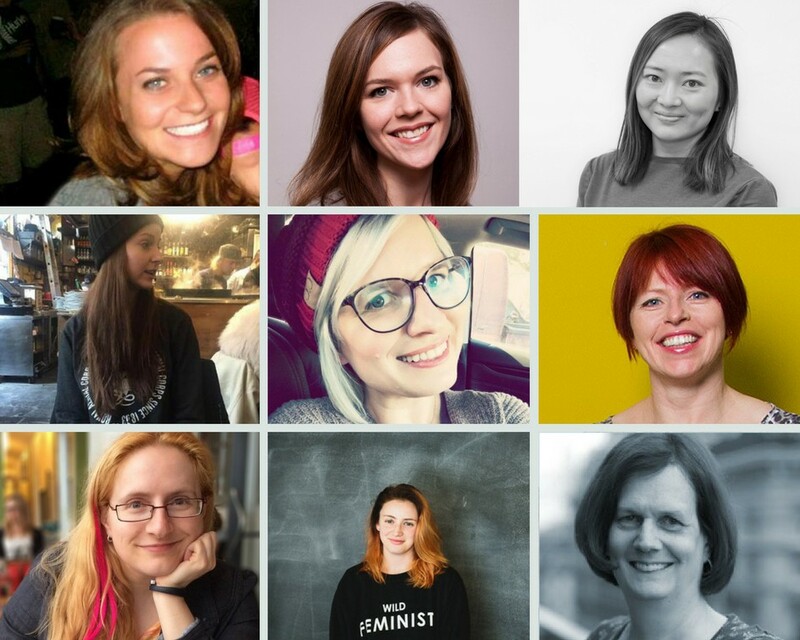 Last year to celebrate International Women’s Day we published a list of some of the most exciting engineers, community leaders, managers and contributors in the container ecosystem. We’ve updated the list in 2018 to include some new faces and highlight some some of the awesome things that the folks on last year’s list have been working on. Laura Frank is the Director of Engineering at CloudBees and a Docker captain. She works on improving the Docker infrastructure of the Codeship product and overall experience for all users of the CI/CD platform. Previously, she worked on several open source projects to support Docker in the early stages of the project, including Panamax and ImageLayers. Chen Goldberg is a technology leader with 18+ years of experience leading engineering teams. In her current role as Engineering Director, she leads Google Kubernetes Engine (GKE) and the OSS Kubernetes and Istio projects teams in Google Cloud. Kris Nova is a Senior Developer Advocate for Heptio with an emphasis in containers, infrastructure, and Kubernetes. She is also an ambassador for the cloud native computing foundation. Prior to Heptio, Kris worked as a developer advocate for Microsoft, as well as an engineer on Kubernetes in Azure. Abby Fuller is a Sr Technical Evangelist and software engineer at Amazon Web Services. Prior to joining Amazon, she worked at a number of startups, including Airtime and Hailo. Michelle Noorali is a senior software engineer on the Azure Container Service team at Microsoft and a core maintainer on the Kubernetes Helm project, a package manager for Kubernetes. Michelle also co-leads SIG-Apps, the Kubernetes special interest group for running and managing applications on Kubernetes. Alice Goldfuss is a Site Reliability Engineer at Github, the organiser of DevOps Days Portland and Lisa17 and technical reviewer of Docker: Up & Running and Effective DevOps. Cassandra Salisbury works on the open source strategy team at Google as a developer relations program manager on the Go team. Previously, she’s worked with companies that focus on developer tools in backend infrastructure and web development. Aparna Sinha leads the product team at Google for Kubernetes and Container Engine. She started and co-leads the community PM Special Interest Group (SIG) to maintain an open backlog for the Kubernetes project on Github. Aparna is currently a secondary member of the CNCF Governing Board. Julia Ferraioli is a Senior Developer Advocate for Google Cloud Platform. Julia’s blog series on Running a Minecraft server on Google Compute Engine with Docker is genius. Liz Rice is a Technology Evangelist at Aqua Security and Founder of Microscaling Systems. Liz is a frequent speaker at tech conferences and looks after open source projects Kube-bench and Manifesto. Ashley McNamara is a Principal Developer Advocate at Microsoft, where she acts as a bridge between third-party developers and Microsoft, driving platform adoption through the developer community and driving change into products based on real-world customer/developer feedback. Alena Prokharchyk is a Principal Software Engineer at Rancher Labs, she’s been working on building infrastructure services, first for Virtual Machines and now for containers with a focus on Kubernetes. Amy Chen is a systems software engineer at Heptio. She is passionate about containers, orchestration tools and Go. In her free time, Amy runs an awesome youtube channel called Amy Codes where she talks about the technical and non-technical aspects of being a software engineer. Lili Cosic is Software developer at @kinvolkio, working on distributed systems and Kubernetes. Sarah Novotny leads an Open Source Strategy group for Google Cloud Platform. She has long been an Open Source champion in communities such as NGINX and MySQL and ran large scale technology infrastructures before web-scale had a name. Jessica Deen is a Cloud Developer Advocate for Microsoft focusing on Azure, Infrastructure, Container Orchestration and OSS. Jessie Frazelle is a software engineer at Microsoft, where she works with Linux and containers. Jess loves all things involving Linux namespaces and cgroups and is probably most well known for running desktop applications in containers. She has been a maintainer of Docker and a contributor to RunC, Kubernetes, Linux, and Golang, among other projects and maintained the AppArmor, seccomp, and SELinux bits in Docker. Isabel Jimenez is a Software Engineer at Mesosphere. Isabel is building the datacenter operating system with Apache Mesos and leading development in areas around containerisation, and big data frameworks. Megan Kostick is a Software Engineer for IBM’s Cloud and Open Source Technologies team. She focuses on IBM cloud solutions leveraging the OpenStack, Cloud Foundry, Apple Swift and Docker open source projects. Robyn Bergeron is a Community Architect for Ansible. Robyn has been a sysadmin, program manager, business analyst, and developer advocate in past lives, and started her career in open source at Red Hat, where she was the Fedora Project Leader. Anusha Ragunathan is a Software Engineer at Docker. Anusha currently leads the effort on plugins, a mechanism to enable Docker Engine deployments to be integrated with third party infrastructure. Federica Teodori is the technical project manager for containers and orchestration solutions at SUSE. Cynthia Thomas is a Technology Evangelist at Covalent. Since 2015, she has been working on Docker and Kubernetes with CNI plugins, currently through the open source project Cilium. Maya Kaczorowski is a Product Manager in Security & Privacy at Google, focused on container runtime security. She previously focused on encryption at rest, including working on Google Cloud KMS. Kate Kuchin is a Software Engineer at Heptio, where she works on the UX team to build tools to make Kubernetes easier to adopt and use. Cheryl Hung is a product and engineering manager at StorageOS, where she codes, writes and speaks about storage, containers and cloud. She is also the organiser of the Cloud Native London meetup. Carolyn Van Slyck is a Software Engineer at Microsoft where she works on the Azure Containers team. She is also a maintainer for the Go dependency manager (dep), a Kubernetes contributor, and Service Catalog SIG member. Ria Bhatia is a Program Manager within Microsoft Azure. She is also maintainer of the new open source project Virtual Kubelet. Ria has a brilliant youtube channel called devops and socks for developers in the Kubernetes space. Is there someone we should add to this list? Please let us know in the comments below. Container Camp AU lands in Melbourne on May 23–25th for 3 days of workshops, expert talks, demos and networking. Tickets available here. The world’s leading independent conference on container technology. Melbourne, May 23–25, 2018 | London, Sept 6–7th, 2018.